The KUHL BURR JACKET is a rugged yet soft canvas classic thats ready for anything and everything. Featuring 100% combed Cotton canvas with KUHLs exclusive Patina finish, the BURR JACKET combines durable versatility with timeless style. The BURR JACKET features generous hand pockets, a zippered chest pocket, and a hidden security pocket for valuables. 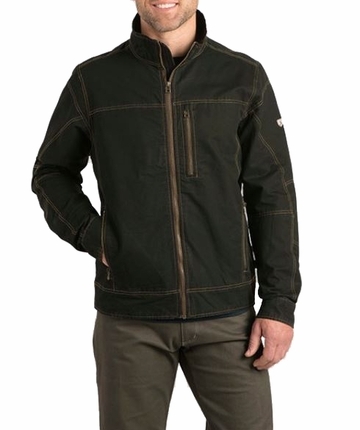 With secure storage, long-lasting construction and KUHLs signature style, the BURR JACKET is a favorite for fishing, hunting, camping, hiking, and travel.